- GPS or not, I will always get lost in Berkeley. - Age ain't nothin' but a number...except for when it's kind of a significant number. - There are very few problems that can't be at least marginally improved by a long run. - Kimchi is a miracle food. - Mrs. Meyers geranium-scented laundry detergent almost makes the chore a pleasure. - You (and I) don't have to be friends with everyone. - Just because you drive a Prius doesn't mean 16-year-old boys in Chevy Camaros won't try to get you to drag race with them at 4 PM on a quiet street. You should not (I repeat: NOT) take the bait. - There is nothing more annoying than non-responsiveness. 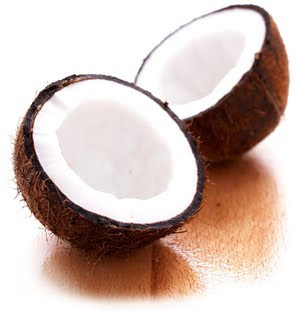 - We should all eat more coconut in its many forms: oil, butter, water, milk and flesh. It's good for us and also delicious. Coconut is useful to human being in many ways. Today many people drink artificial cool drinks. It only gives many health issues. The benefits of coconut water is more and when we drink this water it supply more energy to our body. It maintain our body health conditions and reduce all the health issues.